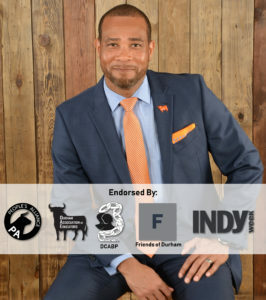 The Durham Community has UNANIMOUSLY endorsed Mike Lee for the District 1 seat on the Durham Board of Edu cation. There is only one candidate in the District 1 race that understands the scope and complexity of the work ahead of us in DPS, and that candidate is Mike Lee. I am honored to be endorsed by the three major PACs, DAE, and The Indy Weekly. These organizations understand the importance of Proven Leadership in the success of Durham Public Schools. Early Voting starts April 19th. I am asking for your support. Please visitwww.votemikelee.com for more information about me, and how to volunteer.